We all want to find that perfect diet where we get to eat a lot of delicious food while still achieving the results we desire. A diet that we can incorporate into our daily lives—no matter where we are or what we’re doing—without it feeling like a diet. That’s where keto comes in! One of our favorite things about the keto diet is the tasty variety of nutrient-rich foods that we get to enjoy. Living a ketogenic lifestyle can provide a variety of health benefits, including weight loss. This low-carb, high-fat diet (LCHF) will get your body to start burning fat as fuel and help you maintain a healthy weight—while eating tasty, fat-filled food! In this keto recipe guide, we’ll go over how you can successfully build your own keto diet plan, create and adapt recipes, and thrive on the keto diet. We provide helpful meal planning tips, low-carb food substitutes, and even tips on how to ease into your new keto diet. Ch. 1: What Do You Need to Know to Build a Keto Diet Plan? Chapter 1: What Do You Need to Know to Build a Keto Diet Plan? On a keto diet, your nutrition comes from 70-75% fats, 20-25% protein, and 5% carbohydrates (or about 20-25g of carbs). This macro ratio is what helps you reach and maintain ketosis—a state in which your body burns fat for fuel. Many keto beginners are surprised when they first learn the macro breakdown. After all, most standard American diets suggest 45-65% of your calories come from carbohydrates and encourage low fat altogether. If you’re new to the keto diet, we recommend tracking your macros until you’ve grown accustomed to the keto lifestyle. Now, you’re probably wondering, how will I track my progress? The simplest way to track your progress is to find and stick to a ketogenic meal plan (more on that later). The recipes you find will typically include total grams of carbs, protein, and fat, making it easy to see exactly what macros you’re consuming with each meal. In this way, you can avoid unplanned carbs in your diet and instead, increase your fat consumption. If you prefer to build your own meal plan, start by filling your diet with tons of healthy fats, like avocados, nuts, olive oil, grass-fed butter, and coconut oil. Whether you’re using a pre-made meal plan or making your own, consider keeping a food journal for the first 3-4 weeks. A food journal can help you track macros as well as identify food sensitivities that may be making it harder to stick to a new eating regimen. Tracking macro consumption is only part of the keto equation, though. To see if you are in ketosis (and staying there), you’ll want to test your ketone levels using either a urine test, like Ketostix, or a blood ketone meter. Before we get into our keto recipe tips, let’s look at a few common terms you’re likely to come across on your keto journey. LCHF: Low-Carb, High-Fat (the whole point of this diet!). You may see LCHF used interchangeably with “keto” in many articles. MCT: Medium Chain Triglyceride. MCTs are a unique form of saturated fat full of health benefits. Not only do they help boost your metabolism, but when they are metabolized, they’re immediately turned into ketones. Coconut oil and MCT oil are great sources of MCT. SF: Sugar Free. Sugar is the enemy on a ketogenic diet. Be aware that many sugar-free foods contain artificial sweeteners that can pull you out of ketosis. IR: Insulin Resistance. This is when the body’s cells cannot properly respond to insulin, making it harder to lose weight and contributing to a variety of serious health disorders. BPC: Bulletproof (keto) Coffee. It’s normally butter, oil, and coffee mixed together with an emulsion blender to increase fat content and give you a full, satisfied feeling that lasts all morning. Our favorite recipe is 12 oz of hot coffee, 1 T butter, 1 T MCT oil, 2 drops vanilla & a dash of cinnamon! BLEND for 15-30 seconds & enjoy! Fat Bomb: Fat bombs are packed full of oils and fats. They’re a great snack if you’re having trouble keeping up with fat consumption. Fat bombs can be sweet or salty, and you can make them to your own liking. HWC: Heavy Whipping Cream. Just ordinary cream that, for a lot of us, is a daily staple in our coffee and cooking. While you may have limited HWC on a traditional diet, its high fat content are perfect when you’re eating keto! The keto diet is a great option for almost anyone, whether you want to lose weight, gain muscle, boost overall energy, or simply eat healthier. 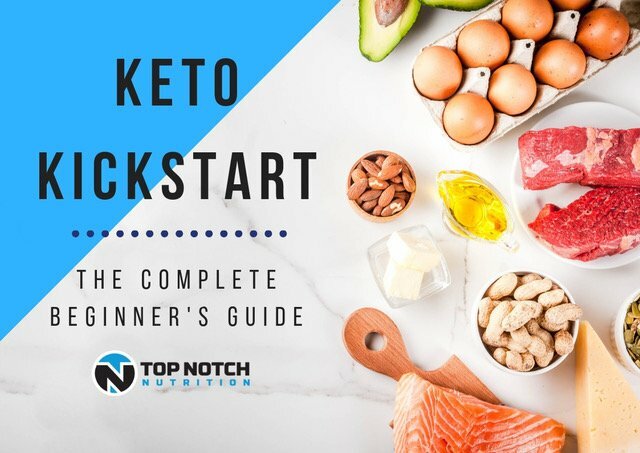 Now that you know the keto basics, let’s look at how to build the best keto recipes (and how to modify existing ones). Practicing a keto diet has helped many people lose weight, increase energy, and even helped treat conditions like epilepsy in children. While the benefits of “going keto” are clear, sometimes your body needs a little bit of time to adjust. The first month is typically the toughest. As your body learns to burn fat for energy (instead of glucose), you may experience a few temporary symptoms or side-effects, such as the keto flu. Keto side effects occur as your body becomes fat-adapted. It’s important to remember that even though your body may be in ketosis, it doesn’t necessarily mean that you’re fat-adapted yet. When you first enter ketosis on a ketogenic diet, your body is producing ketones, but not necessarily using them for energy. Until your body gets used to burning ketones for fuel (what is known as becoming fat-adapted), you may experience keto symptoms like headaches, nausea, dizziness, and constant urination. Here’s what you can expect during the first few weeks as your body adjusts to the keto diet—and some tips to make the transition much easier! In this first week, your body will go through some of the more drastic changes as you transition to a fat-based diet. Fortunately, many keto side effects can be reduced or even eliminated with a few small steps. We recommend drinking lots of water and consuming lots of salt! Your body will be losing a lot of fluid, and drinking more water will make it easier to stay healthy and hydrated. Drinking more water also helps combat cravings for high-carb foods. And, by getting plenty of salt, your body will more easily hold on to that water! We also recommend clearing out your pantry before starting. The keto diet requires you to be strict with what you eat, and clearing out all of those high-carb snacks and premade dinners with processed sugars will help you stick to keto-friendly foods. In this first week especially, you will go through a period of withdrawal from sugar and carbohydrates before your body gets accustomed to your new diet. To help combat cravings, it’s a good idea to have some readily prepared keto sweets and snacks that will keep you full and satisfied when carb-cravings hit. Another way to combat keto flu symptoms and initial feelings of fatigue is to introduce keto-friendly supplements (like MCT oil or a sugar-free electrolyte supplement) to replenish nutrients and give your body a natural, healthy energy boost. While you should already be in ketosis, your body hasn’t had time to become fully fat-adapted yet. We know the first weeks on a keto diet are the toughest, but with the right preparation and a few small adjustments to your diet, you’ll have all the tools to succeed. It can be frustrating to have to find and test new recipes without using carbs and sugar like you’re used to doing. Choose some go-to meals that you don’t have to think twice about making (or just heating up!). Find keto-friendly replacements for high-carb foods you can’t imagine giving up, like bread, pasta or cookies. Make your diet a lot easier by prepping meals beforehand and making extra so you have leftovers for later! Week two can be made easier by adding Bulletproof coffee (BPC, or keto coffee), to your daily routine! Bulletproof coffee is loaded with healthy fats to keep you energized, focused, and satisfied all morning. It’s as simple as adding a little MCT oil and butter to your coffee! By week three, you’re likely noticing an increased energy level—especially compared to week one when you were dealing with the keto flu. But you may still feel fatigued or weak, especially if you are having a hard time getting all the nutrients that you need to stay in ketosis. If you haven’t started already, we highly suggest adding Fat Bombs to your meal plan and drinking bone broth as a go-to, everyday snack (or ingredient). Bone broth is full of minerals and gut-healing protein, which will help keep your stomach feeling good during this first month of keto. Bone broth is also packed with healthy animal fats and protein, so it’s much easier to stay on track as a keto-dieter when you add it to your day! You’ve made it almost a full month! Now that you’re getting the hang of eating keto (and you have a number of keto-friendly recipes), it’s time to fine-tune your eating habits! If you haven’t started already, try keeping a food log or journal to track meals, snacks, and nutrients. Not only will this help you stay on track (and in ketosis), but it can help identify food sensitivities that may be causing you to feel or perform at less than your best. You can also sign up for a ready-made keto meal plan for easy-to-follow, easy-to-modify recipes. The keto flu is common when beginning a keto diet. As your body shifts from being glucose-adapted to fat-adapted during this first month, hydration is key. When you lower your carb intake, the body produces less insulin, which causes the kidneys to release stored water. This puts you at a much higher risk of becoming dehydrated, which makes you much more likely to fall victim to the keto flu and its accompanying side effects of dizziness, nausea, headaches, fatigue, brain fog, dehydration, and stomach irritability. Eat more fats—Your body needs energy, and it has been accustomed to getting energy from sugars and other carbohydrates. Eating more healthy fats will provide you with energy that will help fight fatigue and brain fog. Increasing fat consumption is also great for when you’re having cravings: you still get to eat delicious food, and the higher fat content will keep you physically full and satisfied longer! Eat more calories—As you cut calories from unhealthy, high-carb foods, it’s easy to forget to add those lost calories back into your diet. To stay energized all day long (while still losing weight), make sure you replace calories you used to get from high-carb foods with healthy fats and nutrient-rich, keto-friendly meals. Add more salt—When you switch to a low-carb diet, your insulin levels tend to decrease. First, you’re eating fewer carbs, which lowers your blood glucose levels (one of the factors that triggers insulin production). With keto, your body doesn’t retain sodium like it used to. Less sodium (and lower insulin levels) means your body will rid itself of excess fluids. This increases the likelihood and severity of dehydration, headaches, and nausea. You may also experience a decrease in energy. .
Be active—You may not want to exercise when you’re experiencing keto flu symptoms, but staying active can help your body make the switch from using carbs to burning ketones for fuel. So, take a walk or hike in the sunshine, and get your body moving. You might be completely committed to “going keto,” but worry about keeping momentum during this huge life change. What if you want more variety in your keto meals? What if you miss your favorite dish? What if you like eating out? What if you feel like you can’t afford keto-friendly groceries? What if you can’t find keto-friendly food options? We know the ketogenic diet can be overwhelming at first, especially when you’re eating out, traveling, or shopping on a budget. So, let’s look at a few tips you can use to get the most out of eating keto (without changing where you go to eat or how much you spend). It can be nerve-wracking to go out to eat when you’re on a diet. Will the restaurant have keto-friendly meal options? And will there be something you actually want to eat? Thankfully, dining out while on a keto diet can be easier than you think. The hardest part about dining out with friends is the starchy foods that are so common in restaurants—breadsticks, pasta, and fries, for example. Make life easier when you’re eating out by having a plan. When it comes to your entrée, pay attention to the sides you’ll get. Mashed potatoes, rice, fries, and chips are all high in starchy carbs—opt for the roasted veggies or a salad instead! If you order a burger or sandwich, ask for a lettuce wrap in place of a bun. Instead of pasta, order grass-fed steak or free-range chicken. Most restaurants are very accommodating and are happy to substitute foods for people with restricted diets. Let’s be honest, it’s hard not to order a drink when you’re treating yourself to a dinner out! So, what are your options if you want to stay on track with your keto diet without depriving yourself? Thankfully, there are many low-carb drink options. If you’re in the mood for an alcoholic beverage, opt for spirits (straight or with water/club soda), dry and unsweetened wines, champagne, or light beer. For a non-alcoholic drink, stick with water or club soda, coffee, or tea—and remember to stay away from drinks with added sugar or artificial sweeteners! Many sauces, condiments, herbs, and spices are great additions to a keto menu. They’re not only flavorful, but they often include high levels of fat and sodium you need to maximize keto results. High fat salad dressings are great, but restaurants might serve some that have added sugars, milk, or oils. Asking your server what’s in the dressing is the surest way to stay on track. Most restaurants offer traditional desserts loaded with sugar. Check the menu to see if they offer fresh berries with cream, or consider ordering a cheese plate. And take a moment to decide whether you are truly still hungry or if you’d be satisfied with coffee or tea after dinner. When in doubt, read the menu carefully, and focus on eating protein, fats, and veggies. And don’t be afraid to ask your server to substitute sides, sauces, and other ingredients. Dining out will be a lot easier! Traveling on a keto diet is a lot like dining out—it can seem difficult at first, but you’re bound to succeed if you’re prepared.. Whether you’re taking a day trip to the city or heading out for a week-long adventure, it’s always a good idea to eat a high-quality keto breakfast (and grabbing a cup of Bulletproof coffee) before heading out for your day. If you’re doing your own cooking, make a quick stop to the nearest grocery store to grab some of your favorite, easy-to-make keto meals. Consider things that are quick and high in fat: eggs, pre-cooked bacon, Greek yogurt, or berries with heavy cream. Not only will it save you some money by avoiding eating out, but a high fat, satisfying breakfast will keep you full and reduce unwanted cravings throughout your day. Especially if you’re planning on being out all day, it’s a good idea to pack some keto-friendly snacks that can curb your hunger without adding unwanted sugar or carbs. An easy way to curb your hunger or cravings is to drink plenty of fluids. By sipping on water, coffee, or tea—at a local coffee shop or on the go—you can feel fuller between meals. Just make sure there’s no added sugar before downing a cup or two. Intermittent fasting is popular in the keto community. By eating all of your daily calories during set blocks of time each day, you can avoid many of the challenges that come with eating keto while traveling. We talk more about intermittent fasting in our step-by-step guide to building a keto diet plan. Switching to a whole new diet can be intimidating, especially when you start worrying about the budget. Many people think eating a low-carb, high-fat (LCHF) keto diet will be more expensive—but that’s just not true. Here are some easy ways to stay keto and save some money! You hear about meal planning all the time, and you may have dismissed it as unnecessary. However, meal planning will help keep you on track with your macros, and help you save a ton of money by staying organized and prepared. If you make chicken for dinner on Monday, for example, you can use the leftovers to make a chicken salad for lunch on Tuesday. Decide before you head to the grocery store what meals you’ll be eating for the week, and write a list of everything you actually need. That will help you avoid impulse purchases and snacks that you just don’t need! Buy in bulk—nuts are especially great to buy in bulk because it’s way cheaper than buying a pre-packaged bag on a shelf. Also, consider going to a butcher to save some money on meats. If they have a great deal, buy extra and freeze some for later! Buy in season—especially when it comes to produce, do a little research, and find out what the best options are for each season. Choose cheaper alternatives—there are plenty of healthy foods that are just as nutritious as some of the premium options while costing a fraction of the price. Dig into weekly grocery ads, or perhaps ask your grocer, and opt for lower-cost keto-friendly foods. Cooking at home instead of eating out saves money and unwanted calories! It’s much easier to make keto meals yourself than to try altering meals at a restaurant. Choose some delicious keto recipes that are satisfying and fun to make, and that will save you from over-spending on dining. As tempting as they might be, snacks are typically much more expensive on a per-calorie basis than a full keto meal. And those extra expenses can quickly add up. To avoid or reduce cravings, make sure to cook meals full of healthy fats and proteins that will keep you full and satisfied until the next meal. If you have to snack, portion out your food beforehand—prep little snack bags of nuts, cheese, or jerky for the entire week so you always have a keto-friendly option without having to spend extra. We’ve talked about how to adapt keto recipes during the first month, how you can stick to your diet while eating out or traveling, and what you can do to save money when shopping for groceries. Now, let’s take a look at how you can combine all of these tips to build your own delicious, healthy, and satisfying keto meal plan. Meal planning is a major part of any diet. It keeps you on track, saves you money, and opens up new options and recipes you might not have tried before. First, think about what you actually want to eat. Then, draft up a plan that includes all the foods you enjoy (even if they aren’t keto), including all snacks and desserts. Next, look through your choices and determine what meals or snacks need to be adapted or modified so they’re keto-friendly. This may be as simple as replacing one or two ingredients with low-carb substitutes. Other times, you may need to find a new recipe that is designed specifically for a ketogenic diet, such as keto bread or keto pasta. Or, maybe you have no idea what kind of keto recipes to start with. There are so many options! We’ve put together some of our favorite recipes for keto breakfast, keto lunch, keto dinner, keto snacks, and keto desserts. The best foods to fill out your keto diet (and to replace high carb ingredients) are healthy fats and proteins. After you create your first diet plan, find a sample meal plan online and compare the two. What kinds of foods are missing from your keto menu? Does your plan include as much fat as the sample plan? Do you have too many carbs in your recipes? If you have friends who are on the keto diet—or if you’ve joined a Facebook group for keto dieters—ask if they have any suggestions. You don’t have to accept every recommendation, but a few small changes can make your menu healthier (and more delicious!). We also recommend tracking your macros each day to ensure you’re getting the quantities and ratio you need to become fat-adapted. One of our favorite free tools for macro-tracking is My Fitness Pal, which makes it easy to manage macro intake and modify your diet if needed. As you figure out what’s working—and what isn’t working in your diet—you can make changes that will help maximize your keto success. You can learn more about keto meal planning with our Keto Diet Plan Beginner’s Guide. Now, let’s take a look at some of the tastiest keto-friendly foods you can use to replace your high-carb favorites. Cutting carbs can feel intimidating, especially if your favorite meals and snacks are high-sugar or high-starch treats. Thankfully, there are so many low-carb, keto-friendly substitutes that taste amazing! Here are a few of our favorite food replacements to help you stay low-carb without missing out on delicious meals! Do you wish you could eat a stack of pancakes or waffles with your bacon and eggs? You can easily make low-carb versions by using peanut butter and almond flour. Just make sure you stick to a low-carb syrup! You can also replace milk with heavy cream or almond milk and swap sugar for keto-friendly natural sweeteners like erythritol or Stevia. If you prefer to start your day with flavored yogurt, try opting for coconut milk yogurt or a full fat Greek yogurt. They’re just as delicious, but keto-friendly (just make sure to check nutrition labels)! The next time you’re craving a burger or sandwich, try using keto bread (or using a lettuce wrap and skipping the bread altogether). You can also replace high-carb sides, like fries or mashed potatoes, with cauliflower. Speaking of, did you know you could replace white rice with cauliflower rice? With a little melted butter, salt, and pepper, you won’t know the difference! And did you know you can still eat pasta on a keto diet? Just substitute the traditional pasta noodles with zucchini noodles or shirataki noodles, instead. The next time you get a craving for potato chips, try eating dehydrated veggies or pork rinds for a salty, keto-friendly snack. Do you like using breadcrumbs when making your famous meatloaf? Pork rinds are an excellent alternative! If you miss chocolate pudding, try making an avocado pudding with cacao powder and natural stevia. We think it’s even more delicious than the original! You don’t have to give up cookies, either! Peanut butter cookies taste sensational and can be made without sugar or flour. Or, you can keep your old recipes and replace traditional flour with almond flour or coconut flour. For almost every high-carb food, there are keto-friendly substitutes—and many of them taste as good (or even better) than the original! It’s all about getting creative with your meals and experimenting with the ingredients. Modifying keto recipes is about more than replacing high-carb foods with low-carb substitutes. You may have a food allergy or sensitivity that makes you question whether the keto diet could work for you. Or, maybe you’re an athlete—either in-season or on a strict training regimen—and you’re worried the change in diet may negatively impact your performance. Even a busy schedule can be enough to interfere with your diet if you don’t feel like you have enough time to shop or prepare keto recipes. Just as you can modify the keto diet to reduce side-effects and add keto-friendly versions of traditionally high-carb foods, you can adapt recipes to work for your dietary needs and when you feel too busy to cook. Gluten sensitivity, and the more severe celiac disease, can make it especially difficult to stick to many traditional diets. Because keto cuts out starchy carbs (the most common source of gluten), it’s actually a great option for gluten-free dieters. However, normal gluten-free foods are not necessarily low-carb. For example, corn, rice, potatoes, and many pasta alternatives are all gluten-free, yet high in carbs. Pay close attention to food labels—some low-carb foods, especially processed foods and pre-packaged meals—may contain hidden gluten. Whether you’re sensitive to dairy or lactose intolerant, you might think that keto can’t work for you. But it’s absolutely possible to stay diary free diet and enjoy a LCHF lifestyle. After all, don’t most meal plans recommend eating lots of cheese to get enough fat? And many keto recipes use high-fat dairy butter as a primary ingredient. If you can’t have dairy (or if you can’t have much), there are some great substitutes you can use replace the flavor, texture, and healthy fat you would normally get from milk, cheese, and butter. The keto diet already recommends replacing dairy milk (and its many milk sugars) with additive-free almond milk or coconut milk. Dairy-free cheeses range in quality, flavor, and texture. But with a little research and taste-testing (yum! ), you can find delicious, melty replacements you can use in your cooking—or for a quick, simple snack. Some easy butter substitutes include olive oil, coconut oil, and ghee. If you’re using high heat, we suggest swapping out butter for coconut oil or ghee because of their high smoke points. However, if you want a delicious topping for roasted veggies, keto toast, or other foods, either ghee or olive oil will add that extra flavor (and fat) to your dish. Now, many fellow keto dieters turn to cheeses, heavy cream, and other dairy products to get enough fat in their diet. However, you can still get plenty of fat even if you’re dairy-free. On any diet, you might be worried about the prep and cook time. How can you make sure you’re eating right when you’re too busy to prepare LCHF meals every day? On a keto diet, it’s actually easier than you’d think! Spending hours every day on meal prep and cooking is not ideal or sustainable for most dieters. Crockpot recipes are time efficient and easy to make, and they’re perfect for the busy keto dieter. Instant Pots are better, yet! Choose meals that require cooking time of around an hour or more—big pieces of meat, soups, and casseroles. Anything that requires a long simmer or sits a while in the oven is perfect to toss in the crockpot/Instant Pot! A meal that requires cook time of about an hour can usually slow cook on high for 4-6 hours or in the Instant Pot for an hour or less. Veggies can cook for around 4 hours in the slow cooker—either toss them in at the beginning for recipes that only needs 4-6 hours to cook, or put them in half way through if the recipe requires 8 hours in a slow cooker. In an Instant Pot, throw them in for the last 10 minutes. You can find a large variety of keto meals that are easy and fast to prepare! Just make sure you’re getting enough fats and protein. For a fast and filling morning pick-me-up, we suggest starting your day with bulletproof coffee! It’s full of healthy fats and caffeine to boost your energy and keep you full until lunch. You should still look for fast recipes that you can make on the fly, like salads with high-fat dressings, lettuce wraps, baked veggies, or skewers. They’re easy go-to meals that you can adapt to so you never get bored! And, one of the best ways to save time without limiting your food options is through menu planning and meal prep. As with any diet, a little meal planning goes a long way. By prepping recipes before it’s time to cook, you can just pop something in the oven or on the stove (or in the crockpot) without having to worry about how much time you have or whether you’re getting enough nutrients. So, how can you get started if you’re new to meal prepping? Write down everything that you’ll need for the week before going to the store. For breakfast and lunch, choose a few options that are easy, quick to make, and that are always satisfying and filling. Eggs and bacon is a great option with minimal prep and cooking time. And, salads with high-fat dressings are an awesome go-to keto lunch option. For dinner, choose a few recipes that are high in fat, and stick primarily to big recipes that will give you plenty of leftovers. Not only is it easier and less time-consuming to reheat a delicious meal, but cooking in bulk (and reusing leftover meats, veggies, and sauces in a new recipe) will also save money! After you shop for everything you need for the week, spend some time prepping the ingredients for each meal. For example, pre-chop veggies, make enough homemade dressing or sauce to last several meals, and cook any meats you plan on using. We recommend finding keto-friendly veggies and proteins that you can use in nearly any meal and keeping extra on-hand. Once you are done shopping and prepping the ingredients, you’re all set for the week. But, it can be annoying and time-consuming to have to put the meals together every morning. Pick up some storage containers and sealable baggies that you can use to pre-portion snacks like nuts, veggies with nut butter, and cheeses. You can take the same approach with breakfast and lunch. Pack up your salad, lettuce wrap, or protein source the night before so you can quickly grab it on the way out the door. Preparation will make your keto diet much easier, and it lets you spend time cooking when you actually have time (instead of when you’re on the go). Some people think the only way to gain muscle is by eating more carbs (and lots of protein). Yes, carbs can help you gain muscle—but they can also cause you to gain fat. On a standard ketogenic diet, you might gain muscle mass slower than you would with carbs. But you’re also burning fat at a faster rate, promoting a toned and healthy body. Not eating enough protein: Many new keto dieters are so focused on replacing carbs with fat that they accidentally cut too much protein from their diet. Remember to keep protein consumption moderate (about 20-25% of your daily calories). Stick with fatty, grass-fed meats like bacon, sausage, beef, and pork—as well as whole eggs, poultry, fish, and nuts—to ensure you’re getting enough protein with your healthy fats. Not eating enough fat: Because keto reprograms your body to burn fat for fuel rather than carbs and sugar, you need to get enough fat in your diet. If you don’t replace diminished carbs with healthy fats, you may not be getting enough calories to make it through your workouts and support muscle growth. Not consuming enough calories: In order to gain muscle, you need to be in a caloric surplus, which means consuming more calories than your body actually needs. When you don’t get enough calories, your body turns to glycogen stores, which can slow muscle growth and reduce the effectiveness of your next workout. Try adding a few healthy, high-calorie ingredients and snacks (like fat bombs) into your routine. clical or targeted ketogenic diet. If you are using a cyclical or targeted keto diet for targeted muscle gain, remember that extra carbs should come from healthy options like rice, sweet potatoes, and fruits. You might also wish to join a keto group on Facebook or in your community for hands-on support, advice, and pro tips. Want More Keto Recipe Tips? By finding keto recipes you love and building a low-carb, high-fat meal plan, you can reach and maintain a healthy body weight, increase energy levels, and even improve focus and mood. All with a delicious menu you’ll actually be excited to eat. Learn more about how low-carb, high-fat dieting works and how you can build your own ketogenic meal plan. And join our Facebook community for hands-on support and to ask any questions you might have about going keto.